On May 6, 2018, ABC won in the Adults 18-49 demographic with a 1.28 rating - followed by FOX (0.72), CBS (0.70) and NBC (0.55). Furthermore, CBS won in total viewers with 7.375 million viewers - followed by ABC (6.164), NBC (2.741) and FOX (1.656). 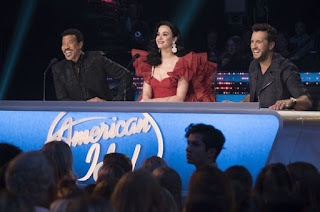 UPDATE - American Idol was adjusted up. America's Funniest Home Videos was adjusted down.